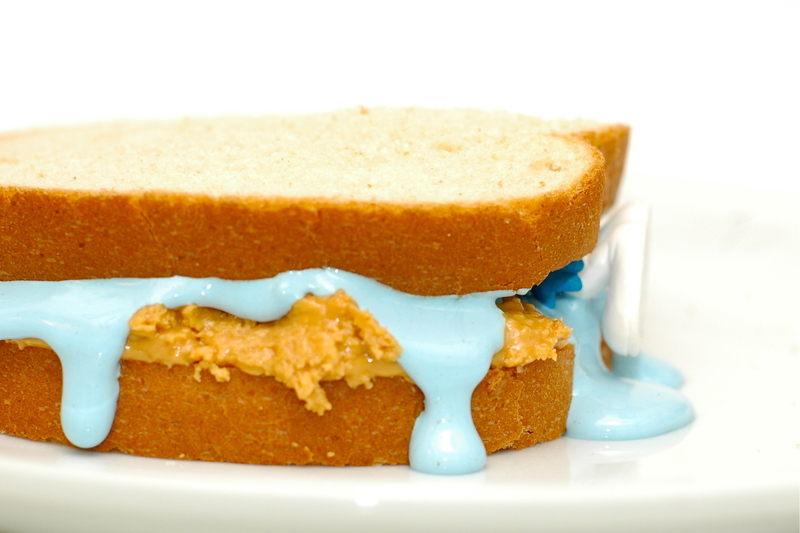 One of my favorites meals as a child was the Smurf Sandwich. I guess I have always empathized with Gargamel and his mangy cat Azreal, even in the tender toddler years. I hadn’t thought about it in years, but my daughter has developed a fascination with these little figurines, and thus it came back to me in a flood of nostalgia. The 80’s were something else, despite the hair bands. Even though I basically can’t stand the Smurfs TV show any more, there’s just something about these blue little guys that brings up all kinds of warm feelings. So, I thought I’d go ahead and fix myself a Smurf Sandwich for old-times sake. 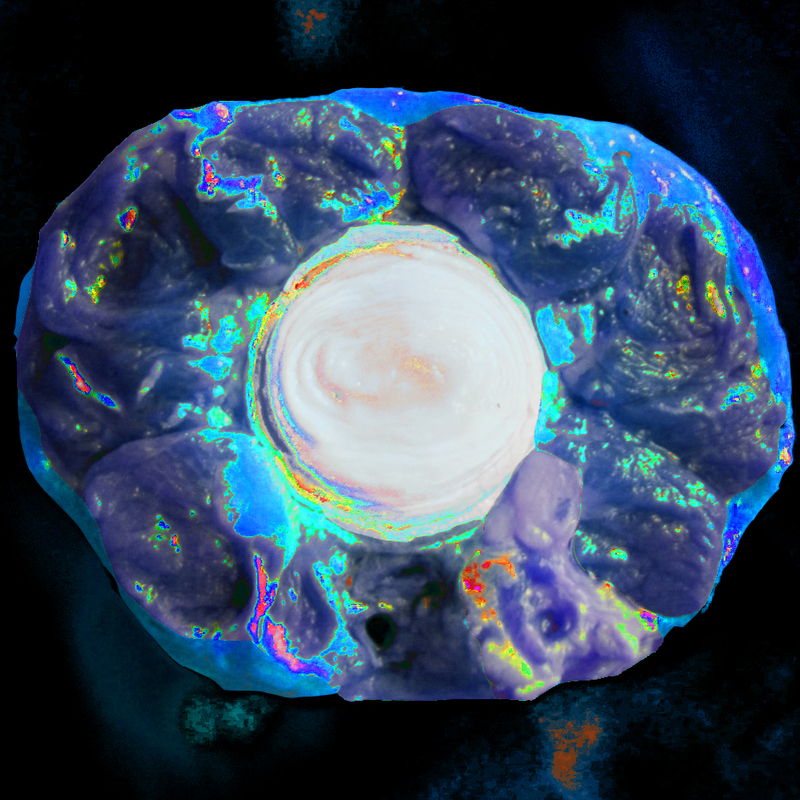 The above photo is a cross-section of Brainy Smurf’s right thigh (a very satisfying smurf!) Smurfs are magical creatures so their meat is laced with all of this preternatural marbleization, but they are also forest dwellers, and lean, so they are kind of gamey. The likelihood of capturing enough of them to make a luxurious stew or braise being pretty slim, it proves necessary to create a spread from the meat of as many Smurfs as you are able to get your hands on. 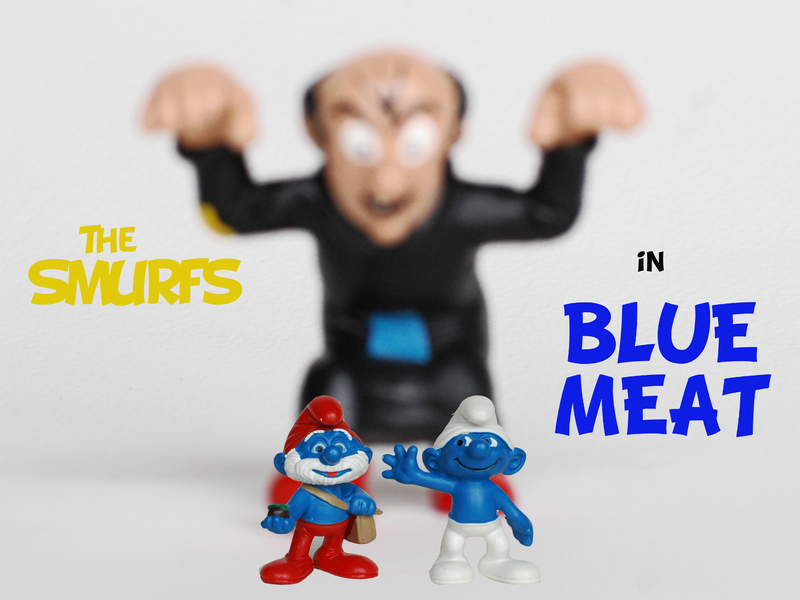 The Smurfs need to cook long and slow in order to adequately tenderize the meat. Cooking them with some aromatics, such as their mushroom houses (yes! cook them with their homes) is recommended. The distinct flavor of the Smurf pairs well with peanut butter. It’s really strong, in the same way a truffle is–it’s almost overwhelming. The way we would do it when I was a kid was to really break the meat up into almost a paste really, and then whip it into some fluff. Then, you would just make yourself a Fluffernutter with the essence of Smurf up in it. If you are in the mood for something a bit more toothsome, and have a few Smurfs to spare, then go ahead and throw a few on whole. ~ by Catastrophysicist on January 27, 2012.